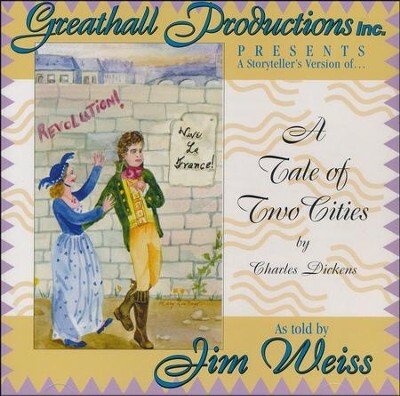 Introduce children to Dickens' classic "A Tale of Two Cities" with this abridged audio re-telling by master storyteller Jim Weiss! Listeners will be swept into the story, and will be encouraged to read the original work. Jim Weiss' storytelling recordings have received awards from the Parents' Choice Foundation, Oppenheim Toy Portfolio, Storytelling World, The Film Advisory Board, the American Library Association, and more. 76 minutes on audio CD. I'm the author/artist and I want to review A Tale of Two Cities.